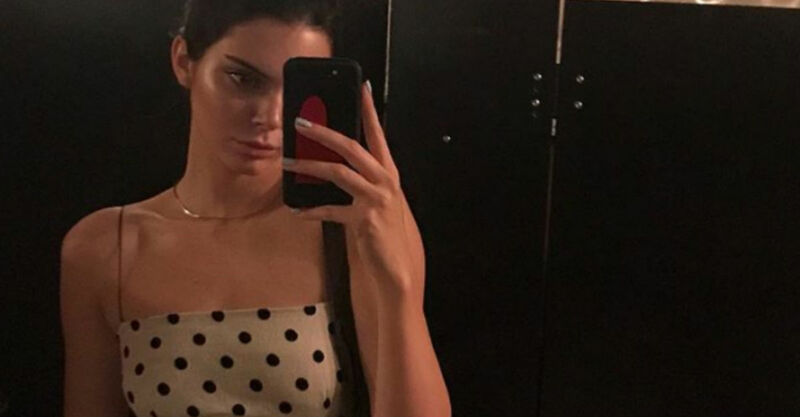 Kendall Jenner’s modeling career has really taken off over the past few years, but does that mean she’s done with reality TV? An insider says yes! According to a new report, Kendall has officially requested to be phased out of E!’s flagship show, Keeping Up With the Kardashains. The star has never loved opening up for E!’s cameras, preferring instead to bare it all in her steamy Victoria’s Secret shots or on the runway. Now, it looks like she might get her wish! Is Kendall really ready to step away from the spotlight? Kendall Jenner has never loved being on reality TV. The star, who grew up in front for E!’s cameras, has always been among the most private members of her famous family. Now, it looks like she might be stepping away for good! According to a new report from Radar Online, a source (Radar does not make their connection to the show or family clear) has alleged that Kendall has officially asked momager Kris Jenner if she can be phased out of the flagship E! title in the coming months. According to the unnamed source, Kris is on board with it. If true, the move would make sense as Paris and New York are widely considered the fashion capitals of the western world. It seems like Kendall is planning to make a name for herself in the fashion industry completely free of her famous family’s antics. Of course, this isn’t the first time we’ve heard that Kendall might be taking her leave of KUWTK and reality TV. Back in 2017, outlets were reporting that the Victoria’s Secret model was planning a relocation to NYC and a swift exit from all things E!. “All her fashion friends live in Manhattan now, and Kendall feels like it’s the place to be,” they said at the time. Since we all know that didn’t quite play out then, we’re choosing to take the news that it might now with a grain of salt until we see the proof… but, in fairness, the notoriously private reality star (quite the oxymoron, no?) has been opening up a bit more about her feelings on the show and her family of late. All current information we have seems to support the idea that Kendall would like to bow out of KUWTK as soon as possible. Copyright © 2019 CELEBUZZ | A Production of Nibble. Powered by REVOLT Music.